LIB instructors have over fifty years of professional baseball experience. It would be our pleasure to put our extensive experience to work for you. Anthony, cousin of Joe DiMaggio, played High School ball for Stony Brook Prep under Coach Tom Grimm. While there, as part of a State playoff team, he set the school record for HR as well as other records. He was among Suffolk County’s leaders in AVG, RBI, HR and SB. Coach Grimm states, “Best right-handed hitter I’ve coached in my 20 plus years of coaching baseball.”He was a four year starter at Erskine College where he was selected three times to the All Conference Team and in 2004 was selected to the All Tournament Team. In 2003 Anthony was ranked 14 th in the Nation by NCAA toughest to strikeout. He struck out 8 times in 175 AB’s. As a senior, he received the highest award given by the College; The Jake Todd Award, given to the most outstanding student athlete. That year, while playing injured and diagnosed with Ulcerative Colitis, he hit .400, 10 HR, 23 2B, 60 RBI and 65 Runs and 17 Stolen Bases. He set school records and still remains in tops for career AVG, Doubles, Hits, HR, RBI, and Runs & Total Bases. In 2004 Anthony hit 3 homeruns in one NCAA game verse Nationally Ranked #11 Pfeiffer University. Anthony’s decision and path lead him to turn down affiliated offers to play professionally in the Italian Major League. He was selected to the Italian All-star team where he played against the Cuban Olympic Gold Medal team. While there, he played with and against many MLB players and with many current World Baseball Classic Players. In 2007 he was in the league’s top 5 for HR. Before the 2007 season Anthony had his 2nd and 3rd shoulder surgery. He decided at the end of that season to turn his focus on helping our kids on Long Island. Since retiring from his own career he has helped establish the start of careers for many young men on Long Island. Through Long Island Baseball more than 17 kids have been drafted or signed professional contracts and numerous kids are on college scholarship including SEC and ACC Schools. 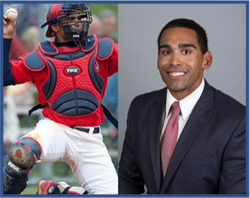 Since 2012 Anthony has trained the Suffolk County Louisville Slugger Winner, Nassau County’s Diamond Award Winner – Sunshine State Freshman of the Year and NYC’s Batting Title and RBI Award Winner. His start of the Long Island Baseball Showcase as well as other programs is helping to give our kids the opportunity & exposure they deserve! 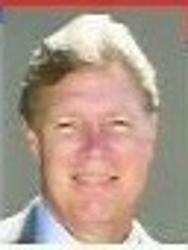 Coach Pass, as he is affectionately known, has over thirty-eight years of coaching experience. Coach Pass was the Head Varsity Baseball Coach at Upper Room Christian School from 2001 through 2013. In 2001 he was given the task of starting the baseball program at URCS where he led the Royals to a fourth seed finish in the conference and their first ever playoff berth. Coach Pass’s Royals finished their second year in first place with an undefeated season before losing in the finals. From 2002 through 2012 his Royals finished in first place twelve consecutive years while winning nine championships with an unprecedented seven in a row. Over his tenure at Upper Room, Coach Pass amassed a career .859 winning percentage with a career record of 220 wins and only 36 loses. In addition, he led the Royals to the 2011 NCSAA National Championship. In 2008, Coach Pass became the first high school coach in the nation to host a scout day where every Major League team was represented and over twenty colleges attended. Coach Pass and his baseball program was honored by Major League Baseball’s RBI program at the Major League baseball General Manager’s winter meetings, as “a place to send your players to play.” Three of Coach Pass’ players were drafted, while many of his players received scholarships to DI and DII colleges across the country. In 2014 Coach Pass finished his coaching career as the Head Coach for NYU in their transition year from the NCBA to the NCAA. In the previous two years before taking over the program, NYU was held winless. 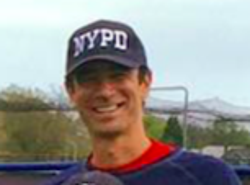 In his one year at NYU coach Pass led the Violets to a .375 winning percentage. In 1993 at Arizona State University, Lo Duca set school records with a .446 batting average and 129 hits. He was named The Sporting News Player of the Year, ASU "On Deck Circle" Most Valuable Player, and was a finalist for the Golden Spikes Award. Lo Duca was drafted in the 25th round of the 1993 Amateur Draft by the Los Angelis Dodgers. He spent eleven years in the Big Leagues with Los Angeles Dodgers, Florida Marlins, New York Mets, and Washington Nationals. Lo Duca has a career lifetime batting average of .286 and was named to four All-Star Games. Estee graduated from Central Islip High School where he was a 4 year starter on Varsity. The numerous awards accumulated throughout that time include 2 All-League Selections, 2003 League II MVP, 2 All-County Selections, 2003 All-Long Island Selection, 2003 Carl Yastrzemski Award (Suffolk County’s Most Outstanding Player), 2003 Gatorade New York State Player of the Year, 2003 Rawlings All-Region 1st Team (Northeast Region), 2003 Rawlings All-America 2nd Team, and 2003 Nike All-America 1st Team. Estee received a full baseball scholarship to Division I Lamar University for his efforts but ultimately went on to pursue his dream of being a Professional Baseball Player as he was drafted in the 2nd Round by the New York Yankees (64th Overall Pick) in the 2003 MLB Draft. 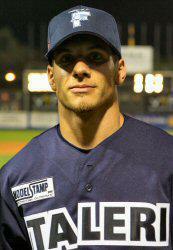 Estee played in the Yankees minor league system from 2003-2007 playing at levels Rookie Ball, Short-Season A, and Low A. 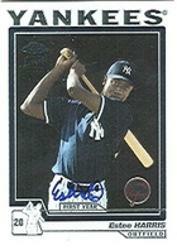 In 2004 Estee was rated by Baseball America as the 9th Best Prospect in the New York Yankee Organization. Estee also played for the Chicago White Sox Organization after a small stint of playing for the Long Island Ducks of the Atlantic League. Estee played at the High A level while with the White Sox, leading the team in homeruns for the 2nd half while helping them secure a playoff berth. After the White Sox, Estee returned to the Ducks where he was a 2009 Atlantic League All-Star and helped lead the Ducks to a playoff appearance that year playing under the leadership of then manager, Hall of Famer Gary Carter. Estee also played for the Camden Riversharks of the Atlantic League, and the Evansville Otters & Washington Wild Things of the Frontier League; becoming a 2010 Frontier League All-Star while with the Otters. Estee has been a hitting instructor for over 10 years where he imparts his knowledge and wisdom that he has acquired from his 9 years of Professional Baseball Experience. 24 years Northeast Scouting Supervisor evaluating HS, College & Pro Baseball Players and reporting on them to all 30 MLB Teams. Recommended and players numerous HS players within College (4YR & JC) ranks, all receiving baseball/athletic scholarships. Casey grew up in the Marietta area and played high school ball at McEachern where he graduated in 2002. He then went on to play college ball at Erskine College. In his 3 years at Erskine Casey set numerous single season and career offensive records including RBI’s, Home Runs, and Doubles and was named the 2005 CVAC, South Atlantic Region, and NCAA DII National Player of the Year. 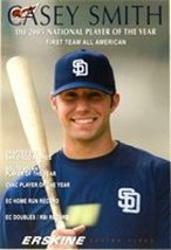 After a record setting junior year, in which he hit .448 with 18 hr, 28 2b, and 83 rbi, Casey was selected in the 9th round of the 2005 major league draft by the San Diego Padres. He spent 2 1/2 years with the Padres and 2 years in the Frontier League with several different teams. He also returned to Erskine and finished his last year of school, graduating with a degree in Sports Management. Casey has been instructing for over 10 years and works with players of all ages. He is available for hitting instruction. 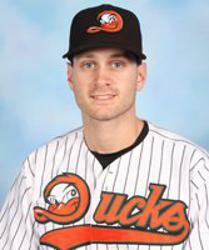 Levine has played two years of professional baseball before being signed by the Duck for the 2017 season. The right-hander combined to pitch in 39 games during the 2016 season with Joliet and Evansville of the Frontier League. Tyler posted 2.58 ERA along with 40 strikeouts over 52 and one-third innings of work. In 2014, the East Meadow native pitched in four games with Brownsville of the United League and stuck out 10 in 11 innings. An alumni of Suny Old Westbury, the 24-year-old has a 3.13 career ERA in 43 appearances. Varsity Starter for Island Trees High School 2007-2010. Bryan was All-League as Freshmen and All-County as Sophomore and played for Long Island in the Empire State Games as a sophomore. He was All-NY State, All-Long Island, All-County as a Junior and Senior and 2-time Diamond Award Winner for position player in Nassau County 2009, 2010. Padres in the 3rd round of the 2013 MLB June Amateur Draft from Hofstra University. 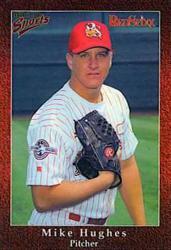 He played with Eugene Emeralds (Short-A), Fort Wayne Tincaps (Low-A), and Lake Elsinore Storm (High-A). Justin has been coaching at the collegiate level for a number of years now and brings a lot of experience and knowledge to Long Island Baseball. He is currently an Assistant Coach at Fordham University. 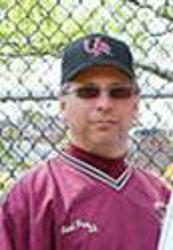 Prior to Fordham University, Justin worked on the coaching staffs of Adelphi University and Manhattan College. Justin was a three-year starter at Stony Brook behind the plate, helping lead the Seawolves to NCAA Regionals appearances in 2008 and 2010. He led the America East Conference in throwing out potential base stealers in three of his four years at Stony Brook. In 2010, Justin was a second team All-America East selection. He was selected in the 40th round of the 2010 Major League Baseball draft by the San Diego Padres. Mike was drafted in the 12th round by the Cleveland Indians. Mike played 5 years of professional baseball and reached the AA level. After 2 ½ years with the Indians Mike was traded to the Montreal Expos where he again earned a spot as a starting pitcher. He continued with the Expos for another 2 years before he played for the Long Island Ducks in the first year of that team’s existence (2002). Mike ended his professional career with a 3.95 ERA.